Now that I am in the last and final leg of my residency, I constantly find myself looking back at what I have been through in the past years which I have spent here. I spent almost half a decade of my life training for residency. Whew! I could not be more glad to see a sight of the finish line. Finally. In a way, such as in many things that we are all used to, a little part of me probably wants to hold on. For a time, even for just a little, and in fairness, this environment which I will be leaving soon, has given me a little comfort. However, that little comfort is probably not enough at all, because an even bigger part of me wants to get out of here, move on and level up in terms of my profession, and see what the world has instore for me. Of course. That's the way it goes, because residency training is just a phase of our professional life. After this, we all have to raise the bar, as it should be done. Residency mirrors life in so many ways. In fact it is life, for residents, at least. As residents, to which group I still belong as of this moment, we should not forget that this kind of life is only as good as it lasts. It will send us through a dizzying and really heartbreaking rollercoaster of emotions but we should hold on to the lessons and the learning we get from each dip and each high. Through the dips, we should hold on tighter, or else we fall. I learned a lot of lessons during residency. First, I believe it is a doctor's initiation to the medical profession. Just when you think it was internship (senior clerkship), get ready to be blown away by the craziness and hell that is residency. You don't own your time anymore. You are at the beck and call of your seniors and consultants, aside from the existing pressure from your patients and the screaming paperwork. The workload just got heavier. You don't own yourself anymore. All in the name of learning. From the start, this reality should be in check deep in the heart of every physican who has decided to take the plunge into residency. Second, in residency, you will get hurt. This was reiterated to us last month by our Training Officer when our fellow resident had her first conference and got a lot of 'spanking' during her presentation- figuratively of course. Let me say it again, in residency you will get hurt. I could almost hear our Training Officer say it. Then he followed it through with, "It is okey to cry." Of course, we are humans and very capable of feeling. Then I glanced at my fellow resident and saw the tears well up in her eyes. The sight of her eyes brought a flashback of memories past. I remembered, I've been there - a lot of times. Being hurt in residency feels like a plant being pruned, with the gardener as our consultants. Whatever shape and sizes, and abilities, and attitudes they may come, - not the pruned plants, but I mean the consultants - let us all remember that they all just want us to learn. They want to bring out the best in us. They just want us to become the best physicians that we can be. I know that is easy to say, specially for me who easily gets hurt, but struggle to remember this lesson each time you get a "spanking" - not just from the consultants but from practically anybody you work with. I tell you every one would feel they are entitled to do that. Try to forget other side issues or hidden agenda they might have. If emotions really creep in, allow yourself a reasonable duration of reaction time then pick up the pieces and equip yourself with the learning from that unpleasant experience. I remember what Howard Holowitz said to his wife Bernadette, in the television series, Big Bang Theory. He was sent to a mission in space and his companions were kind of "mistreating" him. To alleviate his wife's worries, Howard told her something to the effect of "That's the culture here. It's like an initiation to a fraternity, you know. Hurting people's feelings..." Oh well. As the famous Filipino adage goes, "Matira ang matibay." (Survival of the fittest.). That is the name of this game. Third, we are all a work in progress. Even consultants are, but this is more applicable and true for residents who are actually just starting to get a feel of how this profession goes about its usual grind. This is the reason why we go to training in the first place. Everyday is a constant battle to improve ourselves, to form good habits that we will live by during medical practice in the future. Everyday is dedicated to learning and sharpening our proverbial clinical eye. Fourth, pick a role model. This is one of the important lessons I learned in this residency. It pays to look up to somebody in this profession and draw inspiration from amazing individuals who are in the top of their game. I was able to pick a lot of role models during my entire stay. I say a lot, because one can't have it all. Actually. In times of adversity, (Yes, I know, a broad and vague term, but hey give this to me, just this once), I try to think how they would react, behave, or decide, given a situation. I look up to this doctor for his ability to use and hone his talents and skills to improve his status in life. He is the rags-to-riches guy in terms of material wealth, but he was already wealthy enough to start with, with the brilliant mind he was gifted with. I look up to another doctor for her excellent work ethics. I look up to two physicians for a great combination of intellectual and emotional quotient with diligence to boot. I look up to another who has definitely no hang-ups in life, it was as if there was never an exposure at all of the cruelty of medical training. On the other side of the vein, a role model could be an epitome of someone you would not want to be in the future. So take your pick. Lastly, and fifth one is, this too shall pass. An important lesson to hold on to, no matter how busy we were during our duty, no matter how battered and hurt we were. Sunset is inevitable and the sunrise is a gift of another chance. In the end, the question to answer is, "Did you give your best?" Did you give your best to maximize your learning? Did you give your best in dealing with whatever is served on your plate that challenged your person? Most of all, did you give your best in caring for the patient, the real star in all of our efforts? Were you able to give him the best medical care you could give? The exact care that he actually came for? The questions could go on. Eventually you will live to find the answers. As for me, and as of now, let me enjoy the countdown and let me feast at the sight of the finish line. 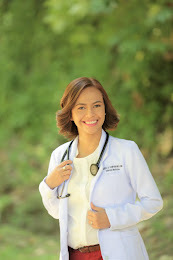 hi there..so great to find your blog about student/doctor in the Philippines. I am planning to go to medschool and been seeing such horrible stories about residency. Why are the consultants/seniors treat residents horribly? Hello Mitch! Glad you found your way here. I really cannot speak for seniors/APs who treat residents horribly. 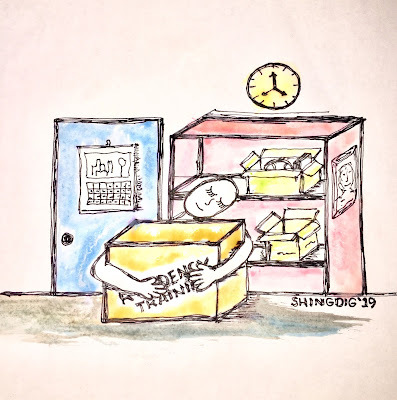 Probably it has something to do with the culture of the training institution or they want to bring out the best in their trainees by pressuring them a little bit. That is just my opinion, though. However one more thought, if one really desires to be a doctor, nothing can stop that dream, right? Good luck in your future endeavors!